In this video we use the same technique we used to evaluate the Admin Toolbar module to see if Coffee meets some basic criteria for a healthy module. The admin toolbar module is super useful for Discovery. I once heard a metaphor for exploring the Drupal administration navigation, which was going up and down grocery aisles, which is exactly what any of us do when we're trying to figure out exactly what Drupal is capable of. The admin toolbar module allows us to do this a lot faster, but there's a second module that we're going to install, called Coffee, that will allow us to jump to a specific page based on a couple of keystrokes. If admin toolbar is like walking up and down grocery aisles, Coffee is like teleporting to a place you already know you want to go to. So, let's go to the Coffee page. 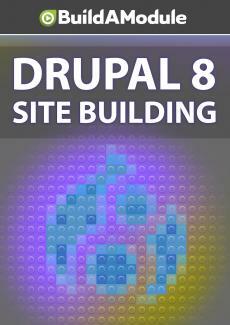 I know it's under drupal. org/project, and I'm just going to make a guess that the name of the project is Coffee. Now, let's do a quick review to decide whether this is a good module to install. Of course, you're getting a recommendation from somebody who has some experience with Drupal, and that's always a positive indicator without looking at the specific metrics, but you can't always get a direct recommendation, so it's good to know how to evaluate this on your own.